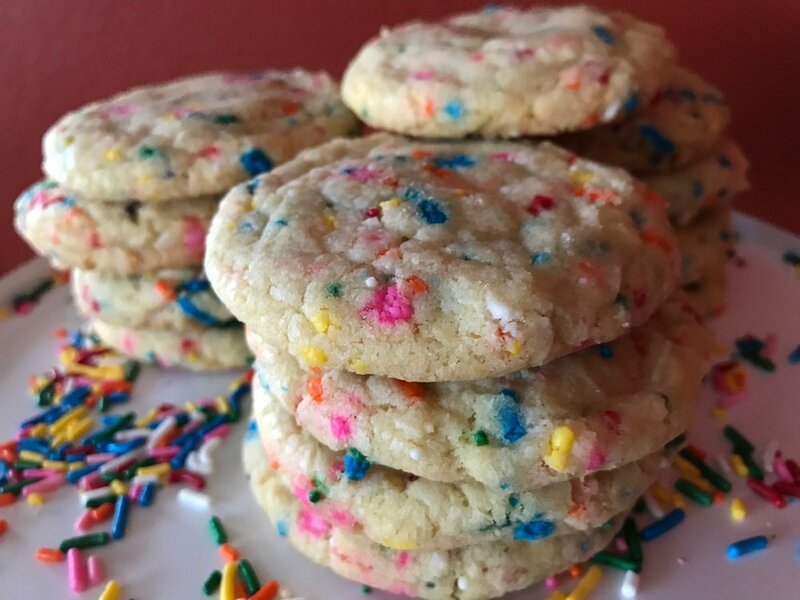 Soft sugar cookie with a hint of almond and loaded with bright colored sprinkles. Cookies + sprinkles = Happy! You can’t help but smile while eating a funfetti cookie! These fun cookies are perfect for any celebration!